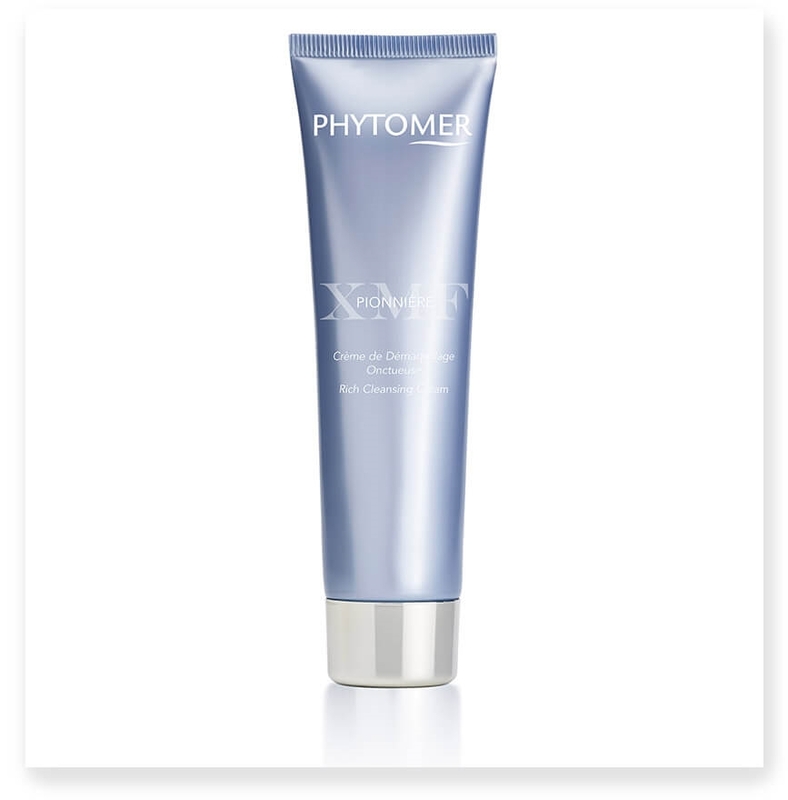 PHYTOMER has created the first PIONNIÈRE XMF smoothing cleanser. This rich cream turns into a delicate foam on contact with water to remove makeup and gently cleanse the skin, leaving it supple and comfortable. With each application the complexion looks fresher and the skin becomes smoother and brighter. Emulsify with fingertips and gently cleanse face with circular motions. Rinse with water and follow with toner. Avoid contact with eyes. In case of contact, rinse thoroughly with water. XMF, Extra Marine Filler : A 100% natural biotechnological ingredient. Smoothing and densifying. Glasswort Oil: Provides hydration, comfort and suppleness to the skin. Applied to the skin surface, XMF creates an invisible natural film that instantly smoothes the appearance of wrinkles*: lines on the skin seem to disappear after 1 hour. It also acts inside the skin by stimulating the synthesis of collagen, elastin and hyaluronic acid. It helps add tension to these fibers for a denser and firmer skin mattress*: the skin is firmed and tautened, like after a facelift. * In vitro tests on the ingredient.